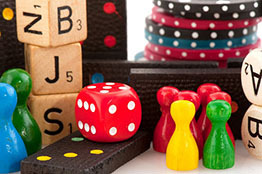 Learn and play new and popular board games with FunAgain Games on the third Saturday of each month in the Gresham Room. This program welcomes adults, teens, and kids ages 8+. Please make child care arrangements for younger siblings.